Book News: J.K. Rowling Writes A New 'Harry Potter' Story : The Two-Way Also: A first edition of Marx's Das Kapital has sold for $40,000; Katie Roiphe asks what would have happened if My Struggle were written by a woman. 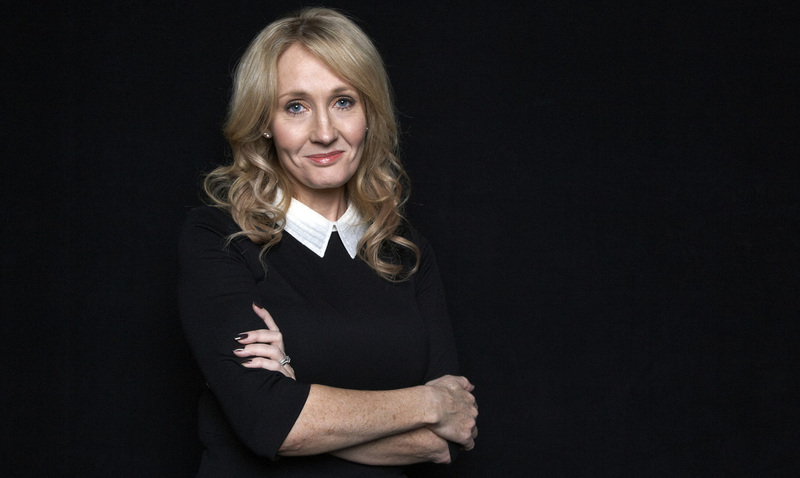 J.K. Rowling's new Harry Potter tale takes aim at the tabloid press. J.K. Rowling has a new short story about the adult Harry Potter, written in the form of a gossip column by Rita Skeeter, the ruthless and fact-bending journalist of the Potter series. Harry, who is attending the Quidditch World Cup with his family as well as Ron and Hermione, is now in his 30s and has "a couple of threads of silver" in his hair and a mysterious cut on his cheek. "Are cracks beginning to show in a union the Potters are determined to promote as happy?" asks Skeeters, who also takes shots at his glasses, friends and godson. Rowling has satirized tabloid papers in the past, and indeed testified at an inquiry into the practices of the British press, saying that the unwanted attention made her feel like she was "under siege or like a hostage." The new story can be read on her website Pottermore [registration required]. A first edition of Karl Marx's Das Kapital has sold for $40,000. Do with that what you will, commodity fetishists. Leslie Jamison, who says in her book The Empathy Exams that she doesn't believe in "a finite economy of empathy," writes about unexpectedly discovering the limits of her empathy. She says: "At a certain point I stopped responding to [letters from readers]. I didn't respond to the one who wrote to me drunk, the one who wrote to me after her relationship had ended, to the man in the shelter or the man in the retirement home. An abiding sense of guilt and hypocrisy began to fester: I was peddling empathy everywhere, and getting so much from it — absorbing the affirmation of every charged emotional response to what I'd written. I'd made everyone feel, and now I was ignoring those feelings. I was empathetic in the abstract and stingy everywhere else." The Millions has released its stellar biannual books preview — a list of 84 of the most exciting books coming out in the second half of 2014, including new works from Haruki Murakami, Hilary Mantel and Margaret Atwood. For Slate, Katie Roiphe asks what would have happened if My Struggle by Karl Ove Knausgaard were written by a woman: "I don't think we would be able to tolerate, let alone celebrate, this sort of domestic diarylike profusion from a woman. ... The particular variety of rage aimed at women who document their daily lives, especially if they don't involve a childhood of poverty or abuse or illness, is deeply entrenched and irrational. It's not just that we don't think of what they are doing as art, but that it annoys us, riles us. It feels presumptuous, vain, narrow, feminine, clichéd. It is not chic the way Knausgaard's stormy ruminations on the minor oppressions of family life are chic."